After acquiring the Buffalo LinkStation NAS, the next step was to move our photo's and music onto the new drive. Having wrestled with iTunes before and experienced the difficulty of rebuilding your iTunes library on a new machine, I hopped over to the iPod Lounge (www.ilounge.com) to search for a better way. Unsurprisingly, this was one of the most popular topics, and as usual iPod Lounge delivered a nice succinct rundown of the available options.More...The preferred method seemed to an iPod utility called CopyTrans, which promised to re-build your computer iTunes library from your iPod. Long and short, it worked exactly as advertised and everything was wrapped up in 20 minutes. 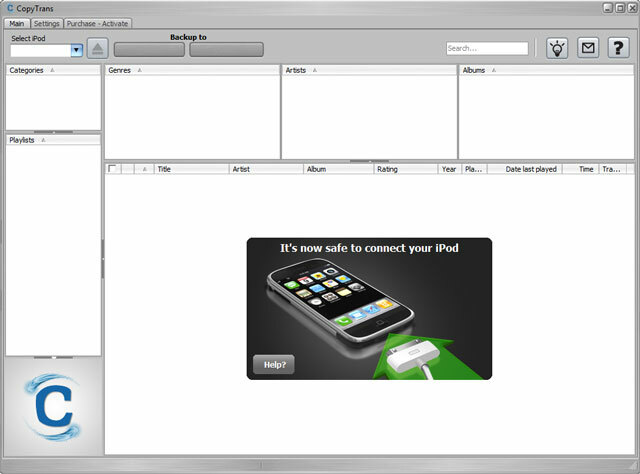 WindSolutions also sells some other iTunes utilities, including one that can purportedly repair corrupt iPod files. I can't vouch for that one, but I can tell you I am very happy with CopyTrans. CopyTrans is available in a free trial version (only does 100 songs) or the unlimited for $20. From the same developers of CopyTrans, there is also a small free iTunes alternative named CopyTrans Manager. This program is compatible with OS 3 and iPhone 3GS too.